SILSILATHU DAHABIYA NAQSHBANDIYA OSMANIYYA (OSMANI NAQSHBANDI GOLDEN CHAIN) IS THE HIGHEST AND EXALTED CHAIN OF SUFISM. ALL OTHER SUFI ORDERS AND SCHOOLS OF FIQH AND AQEEDHA IN ISLAM (AHLU SUNNA WAL JAMAHA) ORIGINATED FROM THE NAQSHBANDI GOLDEN CHAIN MAKING IT THE MOTHER OF ALL WAYS (TURUQ). ONE PART LEADING FROM SAYYIDUNA ABU BAKAR SIDDIQ (RADIYALLAHU ANHU) AND ANOTHER PART LEADING FROM SAYYIDUNA ALI RADIYALLAHU ANHU AND THE THIRD FROM SAYYIDUNA ALI TO 12 IMAMS AND THEIR DESCENDANTS. THE PRESENT GRAND SHAYKH OF SILSILATHU DAHABIYA NAQSHBANDIYA IS SULTHANUL AWLIYA MAWLANA SHAYKH NAZIM AL HAQQANI (QADDASALLAHU SIRRAHUL AZEEZ) AND HIS SON SHAYKH MUHAMMAD EFFENDI ALSO BELONGS TO THE GOLDEN CHAIN. BY THE LAST IMAM,IMAM MAHDI ALAIHISSALAM, THE KHILAFAT ESTABLISHED BY ALLAH ON EARTH GOING TO END AND THE WORLD WILL BE ANNIHILATED BY THE END OF THE RULE OF IMAM MAHDI ALAIHISSALAM AND ESA ALAIHISSALAM WHICH ENDS THE KHILAFAT ON EARTH BEGAN FROM PROPHET ADAM ALAIHISSALAM UNTIL IMAM MAHDI ALAIHISSALAM. WHICH ALLAH PRESERVED THE KHILAFA IN PROPHETHOOD (NUBUWATH) IN TIME TO TIME AND IN SAINTHOOD (WILAYAT) ALWAYS. 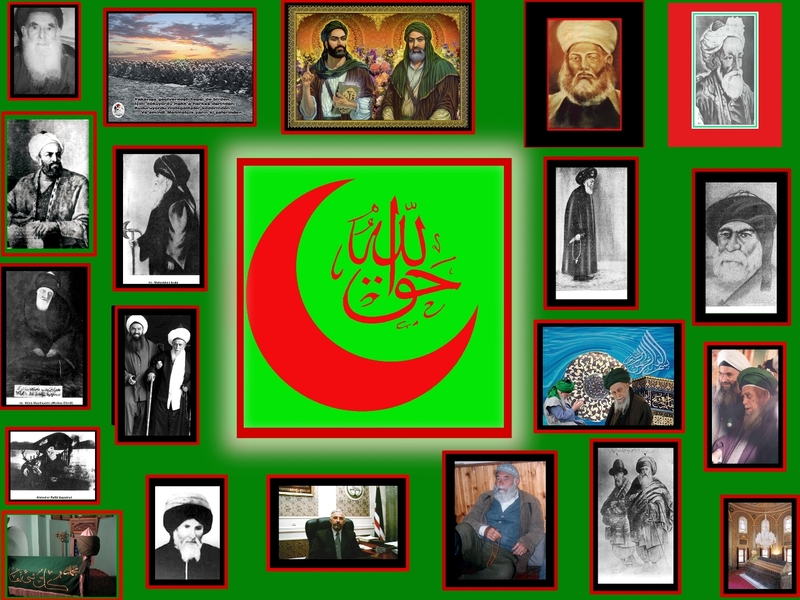 12 IMAMS OF AHLUL BAYT,IMAMS OF FOUR MADHAB,IMAMS OF THE SCHOOL OF AQEEDHA (THEOLOGY) ,IMAMS OF TASAWWUF (SUFISM) AND THEIR SUCCESSORS IN AN UNBROKEN CHAIN OF AUTHORITY AND SPIRITUAL LINEAGE. Hazrat Imam Mohammad Baqar A.S.
Hazrat Imam Ali Ibne Moosa Raza A.S.
Hazrat Imam Hasan Askari A.S.
Is shiya non muslims according to islamic shariya?????? When you ask a question, ask it for the sake of Allah, by beginning with Bismillah. 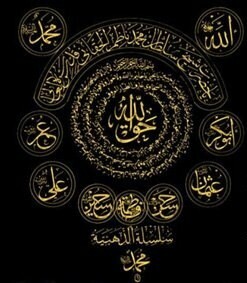 Does not matter whatever we call ourself, if we do not have the morals and manners of Islam. All who believe in La ilaha illa Allah are Muslims, and to become a Mumin, require correct faith, correct morals and manners, and good deeds.